Put your comments here in this thread. What are the implication and why divest from France? Mawlana Hazar Imam has desired that the Ismaili Leaders’ International Forum (LIF) should formally inform the Jamat of a major historic development relating to the establishment of a global Seat of the Ismaili Imamat in Portugal. This constitutes the first time in the modern history of the Ismaili Imamat and Jamat that a Seat has been specifically designated. The Imam of the Time has made this landmark decision with the aim of establishing a long-term, stable base for the Imamat in the context of evolving global requirements and challenges. This decision has been taken as a result of three previous agreements between the Imamat and Portugal, and after more than 30 years of Jamati and AKDN engagement in the country. As a step toward formalising this decision, Mawlana Hazar Imam and the Portuguese Minister of State and Foreign Affairs, His Excellency Rui Machete, signed a landmark Agreement on Wednesday the 3rd of June 2015 in the presence of the Prime Minister of Portugal, His Excellency Pedro Passos Coelho, and other members of his government. On this occasion, Mawlana Hazar Imam welcomed the Agreement as a historic event in the Ismaili Imamat’s more than 1400 year history, and also warmly thanked the government for inviting the Imamat to establish its global Seat in Portugal. In conformity with the provisions of the Portuguese Constitution, the Agreement will be presented to the Parliament for approval and the President of the Republic for ratification in the coming weeks. The Agreement acknowledges the Ismaili Imamat’s legal personality and capacity to act in international relations, and confirms the diplomatic privileges, immunities and facilities necessary to ensure the Imamat’s work in Portugal and facilitates the same internationally. The Agreement will result in an intensification of the Ismaili Imamat’s co-operation with the governments of Portugal and Portuguese-speaking countries such as Mozambique, and will enhance the quality of life of their populations. The Agreement recognises the need for increased resources to be invested in the knowledge society through the development of world-class research initiatives in Portugal that will benefit the world at large. Mawlana Hazar Imam has expressed immense happiness over this historic event, which is expected to strengthen further the Ismaili Imamat’s capacity in its endeavours to ensure the global Jamat’s peaceful, stable and prosperous future. Antonio Marujo/Faranaz Keshavjee: How are the projects which you have launched in Portugal? Can we expect to have, in Lisbon, a school of excellence as part of your network of academies? I have been to several other places. But Portugal has very important factors: in the Portuguese society, pluralism is a social construction which functions and that is relevant in any society, whether it be industrial or of any other kind. Secondly, there is a political wish to recognise the structures of faith and to give them an appropriate role in society. The third reason is that Portugal has an extraordinary history and the country understands pluralism. The majority of Portuguese history has been its involvement in pluralism over centuries; in your history there is an acceptance of difference. What we now want to do with Portugal is to reflect over issues, which we want to deal with in the future. Antonio Marujo/Faranaz Keshavjee: And what are they? Aga Khan: One of them is the relation between Europe, or the Western world, with the rest of the Muslim world, to do everything we can to work together and to enable mutual understanding. An institution such as the Academy would bring people together in a pluralistic education, with curricular contents that would not necessarily be part of the standard education in Portugal. Therefore, we work with the International Baccalaureate, to which other contents, which we deem necessary, are added. Antonio Marujo/Faranaz Keshavjee: And can Portugal help? Aga Khan: The majority of developing countries cannot build civil society as rapidly as would be desirable. Therefore, we have to get hold of it from everywhere we can. Portugal has a solid civil society! You are humble with that respect, but you shouldn't be. We are very honoured and proud by the fact that the Portuguese government and its institutions want to work with us. We will do everything that is possible to establish this partnership. I believe it may even become a case study for other countries. You are very creative in relation to your perspectives for the future. Antonio Marujo/Faranaz Keshavjee: That is a great responsibility. "Since some time, Portugal has been a country in which the Jamat and its institutions, and the Imamat, have been experimenting with new initiatives to see whether it would be possible in the Western world -- in a strongly Catholic country -- to establish new initiatives which would bring together people of Christian backgrounds and Muslim backgrounds to work together to try to solve some of the issues that are ahead of us. And the agreement that was signed during this visit, concerning collaboration in the diplomatic field, is a very, very important agreement. "For an institution of faith to enter into a formal, diplomatic relationship is extremely important in the sense that that agreement has to function within the faiths of both communities...."
"I speak on behalf of all Ismailis, and on my own behalf, when I say how deeply grateful we are to Portugal and its people, and to you, Mr. President, as well as to the generous donors who made this site available and the launch of this project possible. We express our gratitude not only for your help with the project, but for the open and cooperative way in which this country has always assisted the Ismaili community in its endeavours, promoted its progress, and reinforced and facilitated the realisation of its hopes and its aspirations. "One goal is to lay the ground-work for co-operation between faith organisations and development organisations including the World Bank. Another, and it is one to which I attach particular importance, is to explore the potential for co-operation between faith organisations in settings where interests are shared and the environment enabling. "In this connection, I would like to compliment the Government of Portugal on the Law of Religious Freedom currently being discussed in the country. It is a pioneering and forward-looking undertaking that will encourage a new era of religious freedom, respect, and equality for over 60 different religious communities in the country, while maintaining the historic role of the Catholic Church. The draft Law of Religious Freedom can serve as a model for the rest of the European Community, where populations have grown more ethnically and religiously diverse in the past three to four decades. "In a more immediate sense, I believe that the proposed law will provide a basis for greater co-operation between faith communities in Portugal along the lines envisaged in the World Bank's Interfaith Dialogue. If experience elsewhere is a guide, we can expect the release of much energy and creativity, and the Government and people of Portugal should be assured that the Ismaili Centre of Lisbon, and all those it represents -- the Ismaili community world-wide, and the agencies of the Aga Khan Development Network -- will devote their energies to making Portugal's leadership in this creative and uniquely exciting initiative the success it must be. Social harmony coupled with the freedom and respect of religious expression is a prerequisite for all human progress." "In its contemporary history, when our world, at times, has seemed to descend into chaos, and moral leadership into oblivion, Portugal has been an outstanding example of integrity and compassion. When crises have erupted beyond her shores, she has welcomed displaced populations of different cultures and ethnicities. This is, therefore, an appropriate occasion to acknowledge the lasting gratitude and permanent commitment of the Ismaili Imamat and Community to Portugal, a land of harmony and opportunity, that rejoices in her diversity as a wellspring of national strength. "Portugal is a small country, with a long history, and its role in the world has been illuminated by peaks of glory. The Ismaili Community is a small community with a long history also illuminated by peaks of glory. Our respective histories have also, at times, been marked by conflict and internal challenges. They have often strengthened us. Portugal's population is only slightly smaller than that of the Ismaili Community worldwide today. We have, therefore, very much in common, which underscores the logic of our new and formal relationship. But there are also differences. "Portugal is rooted in the centuries old Christian world, whereas the Ismaili Imamat is rooted in the centuries old Muslim world. Portugal's influence has been essentially in Africa and South America, with an occasional presence in Asia. The Ismaili Community is significantly present in Central and South Asia, the Middle East and sub-Saharan Africa, but it is nearly totally absent from South America. "What brings us together is not only our historical similarities and our mutual respect for our past, but our wish to work together better to address the opportunities and the problems which will confront us in the decades ahead. Our respective histories have taught us to place our trust in human values and to root them in an ethical view of life. "Our histories have taught us the value of dialogue, and that rarely, indeed very rarely, does anything good come out of conflict. Our world view is to engage with the problem of social exclusion in our societies and to contribute to building bridges across faiths and across nations, by linking diverse parts of the world. "There are those who say that faiths divide. This may be true. But today we must explore every opportunity to have different faiths come together in addressing the problems of our respective societies. We come from the same common religious heritage, descendants of Abraham, and it is enjoined on us to address the problems of society on the same ethical premises. "In global terms our numbers may be small, but our openness to addressing the issues of our time and of tomorrow, our willingness to bring mature judgement to our pluralist societies, are so strong, and so vigorously shared, that I believe the partnership we are founding today would enable us, with God's support, to have a positive influence in the future which could far surpass the sizes of our demographies. "These are the reasons that have given birth to my conviction that this is truly an historic day. "These are the principles that underpin our long standing and fruitful relationship, inspiring the joint work we already do in Portugal and abroad in Mozambique, Afghanistan and ... Pakistan. It is on these principles and experience that the Protocol of Co-operation builds. Both the Government and the Imamat are determined it does not remain just an expression of pious hope." "Today's occasion is of special happiness since it continues the long-standing relationship that the Ismaili Imamat and community enjoy with the Republic and people of Portugal. Our ties are the stronger for being rooted in a shared sense of responsibility to strive together for the greater good of all. "The University of Evora is an ancient bastion of this sense of equitable and moral order which supports its tradition of academic excellence, nurturing merit wherever it exists. These are the values which the Iberian Peninsula radiated as an inspiring beacon of light, representing the truly glorious epochs in human history when the Muslim and Judeo-Christian worlds developed constructive linkages, enriching their civilisations and empowering their institutions of higher learning with new sources of knowledge." "The Centro's architectural language will seek authenticity from the Manueline vocabulary of search and exploration, linking religious inspiration with the nautical imagery which recalls the great voyages of discovery that were launched from this serene harbour, Alis Ubbo, or in its Moorish rendering, Al Usbuna. "I find myself contemplating whether this serenity will still reign in the Lisbon which will emerge in the twenty-first century. As the city expands, this nation's economic epicentre will radiate within the European Union and like its ancient voyages of discovery, Lisbon will continue to strive to link Europe with Africa, Asia and South America. "I have little doubt, also, that its soul will continue to aspire for spaces of contemplation, for peace, for learning and for sharing. If my own humble role in this search can be to help create such a physical and intellectual space through the Centro Ismaili, I shall feel doubly proud that its beginnings should coincide with the granting to me of the Freedom of the City of Lisbon." "Portugal has an extraordinary history. It has been influencing the world for centuries. Your influence today is not limited to Europe. Your influence is massive through your presence in South America. A country like Brazil is a case study for many countries around the world. Brazil is dealing with new areas of knowledge in air transport -- that is a new area of knowledge -- competing with the best in the world in areas such as agriculture, the development of cash crops, and sugar at new levels of technology. "So the influence of Portugal and the capacity of Portugal to influence what is happening around the world is immense. And it is in this context that I want to thank you for electing me a member of the Academy and for the opportunity you have given me to encourage you to use your global influence, through your history, through your knowledge, through your contacts with the developing world, to bring to the rest of the world what is best in your knowledge." "Our ceremony tonight is only the second one we have held in predominantly Christian countries. I mention this point because it speaks to an essential dimension of the Award. While its roots lie deep in our concern for the state of Islamic architecture, the Award is also committed to a spirit of pluralism and a respect for diversity, a set of values which are deeply embedded in Portuguese history. "The story of Portugal is in part the story of people who came from far away to settle in this beautiful land. And it is also the story of people who have gone out from Portugal to shape the heritage of places in every corner of the globe, from Eastern and Southern Asia, to the Persian Gulf, from Eastern and Western Africa to South America. And, even as I say these words, I remember the sense of overpowering beauty I felt when I first walked through the streets of Manaos in Brazil...."
"There are days in your lives, days in My life, which are particularly important. Days which I remember, days which I value, days which I consider significant for many generations of the Jamat ahead, and today is one of those days. And I would want My spiritual children to know how happy and proud I am that on this day the President of Portugal laid the foundation stone for a new Jamatkhana, a new Centre, for My Jamat in Portugal. And I say to you on this day Mubarak. May the Barakat of Allah be with you, day and night, throughout your lives. I also want to congratulate you for the magnificent generosity, the discipline, the organisation, which you have shown during this short visit." I is a great news of the glorius period of our 49th imam. A great great start to our Imam's diamond jubilee period. I personally always had wishful thinking for a base of Imamat with all diplomatic status and immunity since silver jubilee period. I was off the site as recent incident in one country saddended me. possibily next 150 years of Imamat will be much beyond one's thinking. By Marisa Antunes for Espresso – December 12 2015 – Translated via Google: Prince Aga Khan is considering the purchase of the building which houses the current headquarters of the New School of Business & Economics (SBE), the secular palace Henrique Mendonça. The building is up for sale in a very exclusive neighborhood restricted to institutional circuit and has attracted several interested parties, including hotel chains, embassies and also the spiritual leader of the Ismaili community, reports Expreso from its real estate market sources. The mansion won the Valmor Prize in 1909 and is part of a panoramic green area of &#8203;&#8203;three hectares in the heart of Lisbon, in the Border Marquis Street, and could host the official residence of Prince Aga Khan and the world headquarters of the Ismaili community, which in Portugal accounts for about 10,000 residents (worldwide about 15 million). O estabelecimento da sede ismaelita em Lisboa vai acarretar a concessão de benefícios fiscais à Imamat Ismaili e ao princípe Aga Khan ao nível dos oferecidos aos Estados estrangeiros. No dia 03 de junho de 2015 foi assinado o acordo, na presença do então primeiro-ministro Pedro Passos Coelho e do ministro dos Negócios Estrangeiros Rui Machete, onde se decidia o estabelecimento da sede ismaelita em Lisboa. Ou seja juntamente com a sede da doutrina religiosa vista como parte do ramo xiita do Islão que congrega 15 milhões de crentes em todo o mundo, virá o seu líder espiritual e Imam, o príncipe Aga Khan. Ora, para atrair Aga Khan e o Imamat Ismaili foram necessários conceder alguns benefícios fiscais. Apesar disso o acordo foi aprovado no Parlamento apenas com a abstenção do PCP. No entanto, segundo dá conta o Jornal de Negócios, a congregação e o seu líder vão, por exemplo, ficar isentos de grande parte dos impostos ou não serão sujeitos a tribunais tributários num acordo que é irrevogável para os próximos 25 anos. Estes benefícios são maiores do que os previstos na Lei da Liberdade Religiosa ao nível dos atribuídos aos Estados estrangeiros e aos seus corpos diplomáticos. Em troca destas vantagens espera-se receber mais dinheiro e mais emprego, conta o Negócios. Rendimentos dos donativos: neste caso, os donativos aplicados e que criem rendimento não pagam impostos. Apenas os juros de aplicações financeiras por parte de um residente em Portugal ou com ligação em Portugal estão sujeitos ao pagamento de impostos, conta o Negócios. No entanto, se os juros forem pagos através de um banco sem ligação em Portugal ficam isentos. A Igreja Católica, por exemplo, paga impostos em qualquer situação. Renumeração: aqui a isenção é relativa apenas ao príncipe Aga Khan. Isto porque, se receber qualquer rendimento pelas suas funções de líder espiritual não tem que pagar IRS ao contrário das restantes confissões religiosas. Imóveis: o Imamat Ismaili e o príncipe Aga Khan podem comprar, vender e deter imóveis, desde que ligados às funções diplomáticas e no exercício das funções de líder espiritual, isentos de impostos como o IMI, IMT ou Selo. Neste aspeto as isenções da Igreja Católica são semelhantes – os lugares de culto estão isentos de IMI; a “casa do padre”, tal como chama o Negócios, não paga IMI, e as transferências dos bens não ficam sujeitas ao pagamento de selo ou IMT. Meios de transporte: tanto o Imamat Ismaili como o príncipe Aga Khan podem igualmente comprar carros, barcos ou aviões sem impostos sobre a compra, propriedade, registo, utilização ou venda. Rendimentos com origem no estrangeiro: se receber rendimentos com origem no estrangeiro o líder Aga Khan não tem que pagar impostos – ao contrário de outros líderes religiosos que, se não pagar a diferença entre os valores praticados em Portugal e no estrangeiro, poderá ver a sua conta dobrar. Disputas: se existirem conflitos judiciais, incluindo divergências tributárias, em relação ao acordo assinado, esses serão resolvidos lá fora e não nos tribunais portugueses. Para isso será criado um comité com três elementos do Imamat e três do Estado português. No entanto, fonte do ministério dos Negócios Estrangeiros liderado por Rui Machete afirmou em novembro, citado pelo Negócios, que “a comparação entre este Acordo e a Concordata é abusiva, uma vez que a Concordata disciplina a situação do ponto de vista religioso, e também do ponto de vista social e patrimonial da Igreja Católica portuguesa, enquanto este Acordo regula os aspetos administrativos da Sede e da estrutura de apoio ao Imam, bem como do seu estatuto oficial, numa perspetiva institucional e não exclusivamente religiosa ou confessional”. Acho bem! Os ismaelitas são uma comunidade extremamente louvável, enraizada em Portugal, dinâmica economicamente, discreta, pacifica, com ligações históricas a Portugal que vêm do tempo colonial, nomeadamente em Moçambique. Além disso as ismaelitas são muita giras!!! Lisbon will be the “Santa Se” (Vatican) for 15 million Ismailis. Who is Prince Aga Khan? Subtitle: Spiritual leader of the Ismailis, the Aga Khan is the owner of a vast fortune, moves among world leaders and supports social projects. The Ismaili community seat will come to Lisbon with fiscal benefits for the community and its leader, the magnate and prince Aga Khan, granted in accordance with the diplomatic statute, as if it were a foreign country. The project will bring more jobs and social and scientific assistance. The setting up of the world seat of the Ismaili community in Lisbon will be performed with fiscal benefits for the Prince Aga Khan and his community, comparable to the ones given to foreign countries. The spiritual leader and the Imamat will be exempt from most of the taxes, will not be subject to the fiscal courts and will have an irreversible agreement for the next 25 years. In exchange for these exemptions, there will be more money and employment. The agreement for the establishment of the Ismaili seat in Lisbon was signed on 3 June 2015, in the presence of Passos Coelho and the Minister of Foreign Affairs Rui Machete, but its terms have only become final after the ratification by the President of the republic in end-October. The significant proximity of the Ismaili community to Portugal, its political and economic influence, as well as its social print through the Aga Khan Foundation, have resulted in the agreement being approved with a large consensus in the Parliament, with only one abstention from PCP (the BE made a voting declaration but voted in favour). Analysing in detail the fiscal benefits, one can conclude that these are more extensive and extensive than anticipated in the Religious Freedom Law (Lei da Liberdade Religiosa). The Imamat (the “church”) and the Imam (or imã, the spiritual leader) will benefit from very extensive exemptions in patrimony tax, income tax tax and over transactions performed under their official functions. Paulo Ferreira Alves, partner in BDO, who gives fiscal support to some entities of the Catholic church, explains to Negocios that the major differences between the Religious Freedom Law (Lei da Liberdade Religiosa) and the Concordata (Agreement with the Catholic church) are mainly at the level of personal exemptions granted to prince Aga Khan. “The religious entities have fiscal exemptions but in the canonic legal person (that is, the “church”). The spiritual leaders are taxed on the income from the religious activity and patrimony”. But in the agreement there are also differences in the treatment of the institutions themselves: for example, while in the case of the Catholic church the income from donations will have to pay taxes (such as the rent of a building that was donated), in the case of the Imamat these will not be payable. The Ministry of Foreign Affairs (MNE) which was headed by Rui Machete, rejects that the possibility of making this comparison since what is in stake in this case is to regulate the conditions for the implantation of a organization in Portugal: “The comparison between this agreement and the Catholic church agreement (Concordata) is abusive since the Concordata regulates the situation from the religious point of view and also from the social and patrimonial aspects of the Portuguese Catholic church, while this agreement regulates the administrative aspects of the Seat and the structure for the support of the Imam, as well as its official status, in an institutional perspective and not exclusively religious or confessional”, said an official source in November. That is what explains that this agreement establishes “a set of immunities and privileges similar to those that are granted in the diplomatic area to international organizations”. That is, the Ismaili Imamat is not a State but Portugal has decided to grant it the same privileges in a contractual base. This special prerogative dates back to 2005 and was now extended to the agreement to attract the seat of the religion that congregates 15 million believers in the whole world (identical to the dimension of the Jew community) to Lisbon. To Paulo Alves the comparison is not 100% accurate. As per the international conventions that regulate the diplomatic status, the Portuguese government acts under a logic of reciprocity (its ambassadors in other countries have the same prerogatives) and the exemptions are granted assuming that the diplomatic persons are subject to tax obligations in the country of origin. In this case, “there is no country of origin, as such the situations are not completely comparable”. It was on a voluntary basis that Portugal granted these benefits, as such they should be extensive to other religions. Ï understand that this may be the price to pay to bring the seat to the country and admit that the price may be balanced, but it is still unfair to other religious confessions, namely the Catholic church, considering the importance that the institution has in Portugal”, he adds. Subtitle: Price Aga Khan signed an agreement with the former Minister of Foreign Affairs, Rui Machete. The fiscal benefits are wider than foreseen in the Religious Freedom Law (Lei da Liberdade Religiosa), being similar to the ones that the Portuguese government grants reciprocally to foreign countries and their high dignitaries, under international conventions. The donations that are invested and generate income don’t pay taxes – neither from the Imamat (the church) side, nor from the Imam’s side (the spiritual leader). There is only one exception for the interest of financial applications performed by residents in Portugal or in connection with Portugal. But for example, if the interests are paid by a foreign bank with no branch in Portugal, there will be an exemption. In the case of the Catholic church, taxes are always paid. If the church applies the donations in a deposit, taxes will be paid on the interest received; if it receives a building as a donation and rents it, taxes will have to be paid on the rents received. If he receives any remuneration related to his functions as a spiritual leader, the Prince Aga Khan and whoever succeeds him will be exempt from the IRS (tax over individual income). In other religious confessions, the remuneration fr the exercise of pastoral activities is subject to the payment of the IRS (in the case of the Catholic church, since 2004). Acquisition, selling and possession of real estate from the Ismaili Imamat allocated to the diplomatic functions are exempt of all taxes. The exemption is extensible to the spiritual leader, Prince Aga Khan, in all acquisitions for the exercise of his functions. In the Catholic church, the rules are not very different: places for cult are exempt of IMI, as well as buildings and installations for the purpose of religious activities. The so called “priest’s house” is also exempt of taxes. Similarly, the Catholic church does not pay taxes on transmission of these assets. The priests pay these taxes. Cars, boats, airplanes, including extra parts and consumables, are exempt of any taxes or duties on purchase, possession, register, utilization or selling. This exemption is applicable to the religious confession as well as to its spiritual leader, Prince Aga Khan, under his official functions. Prince Aga Khan will be exempt of payment of taxes on any kind of income received from abroad. Here, if a religious leader receives rents, pensions, interests, etc from abroad, he will have to pay taxes on the difference between what is charged here and what is charged abroad if there is an agreement for the elimination of double taxation (if not, then the double can be payable). As per an official source from Minister Rui Machete, given the “specificity of the figure of the Imam, the treatment that was granted is comparable in terms of IRS (tax for singular income) to the treatment granted to diplomatic agents, the NATO officers and to non-frequent residents”. The divergences that may originate from the agreement will be undertaken out of the Portuguese courts. For this purpose, a committee will be formed with three elements from the Imamat and three elements from the state. The tax divergences are here included. The Concordata foresees that queries regarding the interpretation of its text should be treated in a parity commission and it does not include fiscal questions – these are under the umbrella of the tax courts. The Ismaili community, with 15 million muslims spread all over the world, will have in Lisbon its ‘Santa Se” (Vatican). The project promises to mobilize employment and money. For Nazim Ahmad, it is not time yet to talk about projects and numbers, but the head of the Ismaili Imamat delegation and the Aga Khan Development Network in Portugal has no doubts that the “Portuguese population will be much benefited” with the establishment of the seat of the religious confession in Portugal. The news will be provided in the right time but the expectation is that direct effects will be felt immediately in the area of investment and creation of employment. “Portugal will be the global seat of the Imamat. It is from Lisbon that the 15 million community of Ismailis spread around the world will be managed. The world community will be much interested in investing in Portugal”, Nazim Ahmad explains to the Negocios. In addition to this, there will also be new employment positions. In total, the media is talking about hundreds of positions to be created, some of them to be filled by staff that will be transferred from the international delegations of the Imamat and another part to be filled by local individuals – “there will be a need of human resources in all areas”, Nazim Ahmad confirms without giving numbers. In parallel to these direct effects, there will also be a widening of projects that are supported through the Aga Khan Foundation. At least that was the idea behind Pedro Passos Coelho’s speech during the signature of the formal agreement: “The decisive step taken today will allow the increasing cooperation – which was until now focused on the social area – and the Ismaili Imamat will also assist the Portuguese institutions dedicated to research of excellence in the various areas of knowledge”, said the former prime minister. As for the fiscal advantages that the religious institution will benefit from as a result of fixing its seat in Lisbon, Nazim Ahmad does not see them as compensations but more as an integral part of a “global agreement” which will translate in the natural development of a relationship of three decades. Nazim reminds that the special prerogatives granted by the Portuguese government to the Ismaili Imamat are not recent – they have been developing throughout the years. Specifically the diplomatic status that gives the religious entity the same benefits as in the case of a foreign country or an international organization, it goes back to 2005. It was that status that allowed the establishment of the religious community which has many delegations all over the world but no central seat, to be negotiated under the same logic. Besides Portugal, Canada had also granted the diplomatic status to the Ismaili Imamat and, as per the media, it was this country that competed with Portugal for the establishment of the Ismaili Seat. Spiritual leader of the Ismailis, the Aga Khan also has a very materialistic side: owner of an extremely large fortune, he moves amongst world leaders and is active in social projects. His personal life many times comes to public. In 1996, Prince Amyn Aga Khan visited Lisbon. Elegant and diplomatic, the director of the Aga Khan Foundation had as a special guest at the gala dinner - the President of the Portuguese Republic, Mario Soares. Amyn spoke about the oscillating community that he represented, the Ismaili, “characterized, despite the geographic distances, by its coherence and characteristics”. The long relationship that would take place many years after was gaining strength. And the first shape of Amyn’s eldest brother was gaining shape: the also prince Karim Aga Khan, leader of the Ismaili community. The Aga Khan Foundation in Portugal was born in that same year as a branch of the one existing in Geneva. The connection had been made at the highest level. It was the first step of a long walk which, two decades after allowed the Shia minority of approximately 15 million followers to find an official residency: Portugal. Having strayed from Canada’s interest, Karim Aga Khan IV chose our country as the world seat of the Ismaili community. The official residence of the prince and Imam of the Ismailis will also be in Portugal, where an active community lives (approximately seven thousand Khoja Ismailis, of indian origin and with roots in Mozambique). It has strong economic connections, as is evident, in the Sana group and in Sacoor Brothers. The centralization of activities in Portugal will bring to our country the investments from the Foundation in the scientific area, in medicine and in cooperation for the development. It’s a relationship that was announced a long time ago. And it was more visible because Portugal is a non-Muslim state that recognizes the Ismaili community to have a similar status as the Vatican. This is the corollary of the lengthy walk by Karim al Husseini, Aga Khan IV, the spiritual leader of the Ismailis. Born in Geneva, Switzerland, on 13 December 1936, he took the place of his grandfather, Aga Khan III in 1957 with only 20 years. Since then, his life has been hectic between the spiritual duties and the material realities that have allowed his community, who doesn’t have a physical state, to be recognized internationally. Karim has given it a global strength. Aga Khan, in a mixture of Turkish and Persian, means commander-chief. And Karim, since early, has shown those qualities. Hence having been chosen as the spiritual leader of the community by Aga Khan III, since it is the Imam itself who chooses his successor. His father, Aly Khan, will be recognized by his romances, and the most explosive was the one that related him to the actress Rita Hayworth, whom he met in Riviera short after she got divorced from Orson Welles. Karim’s path was different. In 1957, he unfolded himself in networking in order to visit the different parts of the community in the world. But he returned to Harvard to finish his studies. His thought has a structure and he understands that the Ismaili community can be a bridge between different worlds that don’t know themselves and, as a result, don’t understand themselves. He even says that the western world does not understand the pluralism in the Muslim world. And that the problem in the Middle east has no primary cause in religion but in politics. Through dialogue, he goes on creating a net that connects Ismailis all over the world, also giving them a specific mission in the areas of cooperation, health and education. He adds into this the creation of an economic support that allows all these activities to take place. It’s a spider strategy, calm but consolidated. In 1967, Karim established the Aga Khan Development Network, a non-for-profit private agency to fight against poverty and lack of health in the world. Karim knew the world where he was living: born in Switzerland, he lived in Kenya, was educated in the United States, is a British citizen. Being a leader without a country, he created it through a strong connection of a community spread around the planet. The Ismaili communities are spread by the Middle East, Africa, Southeast Asia, Central Asia, Canada, United States and Europe. All recognize one and only Imam. In parallel with his life as a spiritual leader, the businessman and the agent of social activities has left his digital print in his private life. Hence being, as was his father, much followed by the press. He was a member of the Iranian Olympic team of sky, spent long times in Saint Moritz or Gstaad, surrounded by beautiful women. There he found a balance. A social character, he never stopped being a spiritual leader. An unstable balance, which made him become more consistent. His ideas became stronger. In an interview, Karim Aga Khan revealed that: “In Sunni and Shia Islam, the Imam is responsible for the quality of life of those who look up to him as a guide to supervise the practice of the faith. There is no division like for example in the Christian interpretation, between material and spiritual. The responsibility of the Imam covers both areas”. The religious leadership of the Ismaili Imam originates from the Shia Islam, when prophet Muhammad designated his son-in-law Ali to continue his teachings in the Muslim community. The leadership is hereditary and the Ismailis are the only Shia community to have a living Imam. The others revere a “hidden” Imam who will come back in the day of the final judgment. This is the reason why the Imamat is unique. The sunnis, on the contrary, don’t accept the continuity of the religious leadership from members of the prophet’s family. Knowing how to lead and being present in the right moments has increased his image as a perfect diplomat: the first encounter between Ronald Reagan and Mikhail Gorbachev in 1985, took place at the Aga Khan’s in Geneva. Much of what Karim is, can be found in his grandfather: Sir Sultan Muhammad Shah Aga Khan III, the 48th Imam, was the president of the League of Nations, predecessor of the UN before the II World War. Born in Karachi, then British India, he was one of the founding countries of Pakistan. But it is also important not to forget that Karim is nephew of the High Commissioner of the UN for the refugees, Sadruddin Aga Khan, deceased 2003. Sadruddin resided for a long time in Switzerland, where he founded the Bellerive Foundation dedicated to the protection of nature, which in 2006 was joined with the Aga Khan Foundation. Two pillars that illustrate the world where Karim grew up and developed. But he is also very connected with the community’s history. The Ismailis found their origins in the VIII century, when they separated from the Shia main branch, after a misunderstanding about who would be the seventh Imam. The Ismailis chose to follow Imam Ismael, who they believed to be a descendent of Hussein, the prophet’s grandson. Established in Persia in 1818, the Xa of Persia granted the title of Aga Khan to the 46th Imam of the Nizari Ismailis, Aga Khan I, deceased in 1881. Karim Aga Khan IV, 49th Imam, is the heir of this long history. He is one of the members of the richest royal families in the world, according to Forbes, with a fortune between 800 million and 3 billion dollars. The donations of the community mainly reinforce the initiatives in the philanthropic area, the development projects, education and charity projects. In his private life, Karim has lands in France and Ireland, and has a well-known passion for horses. His business empire has interests in the area of hotels, telecommunications, energy, pharmaceuticals and aviation. His private life has also been much scrutinized. The Imam has divorced his first wife, Sarah Croker Poole, after 25 years of marriage, in 1995. In 1969 when they got married, Sarah was one of the most glamorous models of the London “swinging sixties”. The former model, with whom he had three children, would end up receiving 30 million dollars in the divorce. In 1998 Karim would then marry with Gabriele Thyssenem Thyssen (daughter of Hans Heidrich Thyssen-Bornemisza, German industrialist in steel and art, whose works are nowadays in the Thyssen-Bornemisza Museum in Madrid, under the guardianship of the widow Carmen). This divorce would be much mediatized as it involved the former French President Nicolas Sarkozy, who would have obtained fiscal exemptions for Aga Khan. Nevertheless, the private life of Karim Aga Khan IV never concealed his importance as a leader of a community that has known how to survive and grow in a conflicting world. He has now discovered a safe land, by the waters of the Tagus river and the Atlantic ocean. Lisbon, Portugal (Feb 16, 2016): Aga Khan Development Network (AKDN) Resident Representative, Nazim Ahmad, thanked the President of the Portuguese Republic, Cavaco Silva, for all the support given to the work of the Ismaili community in Portugal. “I wanted to thank the President of the Republic for all the direct support given to all the work that the community has developed over the past 30 years in Portugal. Nazim Ahmad had joined Adriano Moreira at the Palace of Belém, who offered to the President an edition Os Lusíadas by Luís de Camões. In June 2015, an agreement was signed by the Portuguese Government and His Highness Prince Karim Aga Khan to established the global headquarters of the Ismaili Community in Portugal (Seat of the Ismaili Imamat), the then Minister of Foreign Affairs, Rui Machete, considered this agreement as a new start and a spring-board for the high-level research in the Portuguese universities and institutes. After emphasizing the “civic participation and social consciousness model” that the Ismaili community, a branch of Shiite Islam has developed in Portugal, where it operates since 1983, Rui Machete highlighted the importance of Aga Khan Development Network on the international scene and it’s known reputation amongst the Portuguese. Adriano Moreira was an active and a key individual during the negotiating process for the successful establishment of Seat of Ismaili Imamat to be in and remain in Portugal. Lisbon, 17 March 2016 — Prince Amyn was at the Museu Nacional de Arte Antiga (National Museum of Ancient Art) yesterday, to formalise a donation by the Aga Khan Foundation towards the museum’s acquisition of a national Portuguese cultural treasure. The € 200,000 contribution supports a campaign to acquire the painting Adoration of the Magi (1828) by Domingos Sequeira, who is considered one of the best Portuguese artists of his time. Known by its slogan “Let’s put Sequeira in the Rightful Place”, the campaign is a national initiative — the like of which is unprecedented in Portugal — to acquire the privately-owned work for the museum’s permanent collection. “We are honoured to be able to be part of the national effort to preserve this extraordinary piece of Portuguese cultural heritage for the enjoyment of not only the Portuguese people but also others who visit this beautiful city,” he added. The donation is in keeping with the Aga Khan Development Network’s support for cultural heritage around the world, and the commitment made by the Ismaili Imamat to promote and participate in cultural initiatives in partnership with Portugal. AKF’s contribution has boosted the campaign, helping it to reach more than two-thirds of its € 600,000 fundraising goal. For the Aga Khan Foundation, assisting the museum complements the array of work it has been carrying out in Portugal since 1983 — from research and intervention in early childhood education, to addressing social exclusion and urban poverty. This includes an innovative programme established in partnership with the government and others in civil society to improve the quality of life of marginalised and disadvantaged populations, including immigrants and ethnic minorities. “We believe that cultural pluralism, that education, and education in the arts, are essential factors in both economic and social development and in ensuring peaceful coexistence among peoples,” said Prince Amyn. Born in Lisbon in 1768, Domingos António de Sequeira was appointed first court painter at the Royal Court of King John VI of Portugal in 1802. His Adoration of the Magi depicts the Christian tradition in which magi (wise men) of the East come to pay homage to the newborn baby Jesus — whom Muslims know as Hazrat Isa, a Prophet and Messenger of Allah — offering him gifts of gold, frankincense and myrrh. It was recognised early on as a masterpiece, and is described as a visionary work that bears the signature style of the artist. Portugal’s National Museum of Ancient Art is home to the country’s most important public collection of paintings, sculpture and other art forms. Founded in 1884, it has a collection of over 40,000 items, which includes the largest number of state-designated “national treasures.” Through its collection and exhibitions, the museum preserves the cultural identity of the Portuguese people and invites visitors to discover the nation’s artistic heritage. It is a mansion surrounded by gardens filled with palm and lime trees in the Border Marquis Street of Lisbon where the Prince Aga Khan will install the world headquarters of the Ismaili Imamat. From here, the Seat of the Ismaili Imamat will run the administrative structure to coordinate the huge Aga Khan Development Network. Aga khan community buy their new Global Headquarters building in Portugal " Henrique Mendonça Palace" - 12 million euros. Aga Khan, is still looking for a location for his official residence in the country. Until then, the Aga Khan will continue to travel from Paris to Lisbon and stay at the Ritz Hotel, a few hundred meters of the future world headquarters." The new headquarters is a mansion surrounded by gardens filled with palm and lime trees in the Border Marquis Street of Lisbon which will be the world headquarters of the Ismaili Imamat. From here, the Seat of the Ismaili Imamat and all the Ismaili communities constitutional entities including AKDN. The sale of Henrique Mendonça Palace to the Aga Khan for 12 million euros (which is a current office of School of Business and Economics), received the green light from the government on 17th March. Rezam a Alá, dançam zumba, ensinam o direito de voto às crianças. Começaram como comerciantes, hoje trabalham na banca e no imobiliário e entram na advocacia, engenharia e medicina. Na discreta comunidade portuguesa, acredita-se que a nova sede mundial do Imamato Ismaili em Lisboa trará mudanças. Num dos recantos do jardim do Centro Ismaili de Lisboa, nas Laranjeiras, uma dezena de crianças com camisa bege e lenço ao pescoço joga com varas de madeira. São o Grupo 36 da Associação Nacional de Escoteiros, composto apenas por ismailitas, uma minoria muçulmana xiita liderada pelo milionário príncipe Aga Khan, que vai criar em Portugal a sede mundial da comunidade. Aos sábados à tarde, estes 20 rapazes e raparigas reúnem-se para actividades no gigantesco edifício em pedra lioz e vidro, que é o principal templo religioso e de reunião da comunidade no país. Os escoteiros mais novos estão num dos corredores a preparar o próximo acampamento. E têm uma sala onde se reúnem para votar as acções de voluntariado em que participam. “Nos últimos anos, fizemos recolha de alimentos para o Banco Alimentar, pintámos as instalações do Instituto Piaget e participámos numa campanha da Ajuda de Berço”, vai enumerando Safik Cassamo, de 31 anos, que lidera o grupo de escoteiros criado há quase quatro décadas, quando grande parte da comunidade chegava a Portugal vinda de Moçambique. Quando terminarem as actividades, as crianças entre os seis e os 14 anos vão continuar no centro para receber outros ismailitas para uma festa: o Navroz, a celebração da Primavera, uma das três datas mais importantes para estes muçulmanos. Em duas das salas do edifício, preparadas com mesas redondas e flores, haverá uma ceia, música e danças. “Os escoteiros mais velhos vão servir bebidas”, explica Safik, que divide o seu tempo entre o escotismo e a gestão do hostel e da papelaria familiar em Arroios. Todos ajudam. “Não me recordo de ninguém que nunca tenha trabalhado voluntariamente para a comunidade”, diz. No Centro Ismaili de Lisboa e na Fundação Aga Khan em Portugal, trabalham gratuita e regularmente 600 fiéis, nas mais diversas funções. Os ismailitas dizem que o voluntariado que fazem não é caridade. “É uma tradição milenar que existe desde a origem da comunidade e permitiu criar uma rede de organização exemplar”, defende Faranaz Keshavjee, mestre em Estudos Islâmicos. A participação nas actividades e nas estruturas internas tem um objectivo: pôr em prática as orientações de Aga Khan IV, o líder religioso da comunidade espalhada por 25 países e que encabeça uma rede de instituições financeiras, empresariais e de ajuda ao desenvolvimento. Estas movimentam anualmente mais de 550 milhões de euros apenas para actividades sociais e culturais. O propósito último é que “os ismailitas se mantenham como uma elite bem integrada, com um estatuto de respeito e dignidade reconhecido nos vários países onde vivem”, resume o antropólogo especialista em minorias étnicas José Gabriel Pereira Bastos. “Querem manter-se com este estatuto, mas não dominar. Querem estar no topo, mas em pé de igualdade.” No mundo ameaçado pelo radicalismo, “defendem a sua visão do islão pacifista e de apoio ao desenvolvimento de forma diplomática”, explica. Os oito mil fiéis que vivem em Portugal gostam de ser discretos, quase invisíveis. “Detestam o mediatismo e raramente surgem nos jornais”, remata. Aos domingos de manhã, os ismailitas costumam juntar-se para fazer ginástica ou dançar zumba no Estádio 1.º de Maio, em Lisboa. Não é por acaso: há orientações directas do príncipe Aga Khan para os seus seguidores praticarem exercício e fazerem check-ups regulares. O aristocrata de 79 anos, nascido na Suíça, com passaporte britânico e licenciado em Harvard, regula quase todos os aspectos da vida da comunidade. Karim Al Hussaini, que usa o título hereditário persa de Aga Khan, é o 49.º líder religioso, sucedendo ao avô. E os ismailitas fazem-lhe um juramento de fidelidade e lealdade. “Somos os únicos muçulmanos xiitas liderados por um imã vivo, hereditário, que é descendente directo do profeta Maomé”, diz Riaz Issa, membro da instituição que gere os aspectos religiosos e culturais da comunidade. Aga Khan é o imã do tempo, a quem cabe interpretar o Corão, adequando a sua mensagem aos tempos actuais. Mas é também o responsável por melhorar a vida e garantir o bem-estar da sua comunidade e dos países por onde ela se espalha. “Para o islão, não há separação entre a vida espiritual e material. Há uma busca de excelência na vida intelectual e material, que também tem de ser utilizada em prol do outro”, resume Issa. As directrizes do imã vão, por isso, muito além das questões da fé: definem a forma como os seus seguidores devem inserir-se na sociedades onde vivem, ser educados, estudar, gerir negócios e até manter-se saudáveis. Na base de toda a organização ismailita está uma Constituição própria, aprovada em 1986. Ali são definidos aspectos religiosos, de obediência ao príncipe e às várias instituições que dão corpo à comunidade, com conselhos nacionais ou regionais e até um sistema de arbitragem e resolução de conflitos, que é alternativo aos tribunais. Contudo, e em primeiro lugar, os ismailitas têm de obedecer à Constituição dos países onde vivem. Os fiéis portugueses são dirigidos por um conselho nacional, uma espécie de governo interno, escolhido de três em três anos para pôr em prática as indicações do líder. À frente desta estrutura está Rahim Firozali, o director-geral da empresa de seguros Combined Insurance em Portugal, que foi nomeado no ano passado. O vice-presidente é o empresário Azim Manji, que já liderou o departamento económico dos ismailitas portugueses. Os 19 membros deste conselho reúnem-se numa sala própria no Centro Ismaili de Lisboa. À volta da grande mesa oval, organizam programas que garantem o funcionamento da comunidade nacional, mas também dos fiéis em Espanha, Moçambique e Angola. Neste “mini-governo”, há elementos responsáveis por pastas específicas, como a Educação, Juventude, Saúde ou Economia, que coordenam as actividades definidas para as diferentes áreas. A aplicação no terreno das medidas é garantida com financiamentos de Aga Khan, que decide pessoalmente os apoios. “Sempre que é escolhido um novo conselho, o presidente e o vice-presidente vão discutir os programas directamente com Sua Alteza”, explica um antigo membro da estrutura. As reuniões realizam-se em Aiglemont, a propriedade de 40 hectares nos arredores de Paris onde o príncipe vive e onde funciona grande parte dos seus escritórios. Esses encontros passarão, agora, a ser feitos em Portugal. É num palacete rodeado de jardins repletos de palmeiras e tílias na Rua Marquês da Fronteira, em Lisboa, que o príncipe vai instalar a sede mundial do Imamato Ismaili. E será a partir desta estrutura administrativa que vai coordenar a gigantesca Rede Aga Khan para o Desenvolvimento, onde trabalham 80 mil pessoas em 30 países. A rede inclui agências com lucros anuais de 3 mil milhões de euros, com quase uma centena de empresas, entre elas, cinco centrais eléctricas, companhias aéreas, farmacêuticas, bancos, seguradoras, empresas de media e cadeias de hotéis. Essas verbas, segundo a comunidade ismailita, são depois reinvestidas ou utilizadas em agências de desenvolvimento social, como a Fundação Aga Khan, universidades, hospitais ou programas para a educação e cultura, que garantem apoio a milhões de pessoas do Afeganistão, Síria ou Burkina Faso. A venda ao príncipe ismailita por 12 milhões de euros do palacete Henrique Mendonça, que é a sede da Nova School of Business and Economics (SBE), teve luz verde do Governo a 17 de Março. O PÚBLICO sabe que o assunto foi levado a Conselho de Ministros precisamente um dia depois de a família Aga Khan contribuir com 200 mil euros para a campanha pública lançada pelo Museu de Arte Antiga destinada a comprar o quadro Adoração dos Magos, do pintor Domingos Sequeira. Os gabinetes centrais do líder ismailita vão instalar-se de forma progressiva no edifício murado a pedra e ferro forjado, desenhado pelo arquitecto Ventura Terra e que recebeu o prémio Valmor em 1909. A sede mundial funcionará com regras especiais, semelhantes às de uma delegação diplomática estrangeira, apesar de os ismailitas não terem um Estado. As suas instalações serão “invioláveis” e o imã e os seus funcionários possuirão imunidades jurídicas e importantes benefícios fiscais, tal como define o acordo assinado em Junho de 2015 entre o príncipe e o então ministro dos Negócios Estrangeiros, Rui Machete. Muitas das prerrogativas já tinham sido dadas à delegação do imamato, que se instalou no país em 2006, e funciona na Rua de São Domingos à Lapa, em Lisboa. Nos três hectares de terreno da nova sede deverão trabalhar quase 500 pessoas, das quais, 400 recrutadas no país. Os restantes virão de fora, acompanhando Aga Khan, que procura ainda um local para a sua residência oficial no país. Até lá, o imã continuará a viajar de Paris para Lisboa no seu jacto privado e a instalar-se no Hotel Ritz, a umas centenas de metros da futura sede mundial. O príncipe deixa em França os cavalos de corrida, uma das principais tradições de família que herdou do pai, Aly Khan, que foi casado com a actriz Rita Hayworth. Em 1540 hectares espalhados por várias propriedades naquele país e também na Irlanda, Karim Aga Khan tem centenas de garanhões, que valem milhões de euros e o tornaram um dos principais criadores na Europa. As directrizes do imã vão muito além das questões da fé: definem a forma como os seus seguidores devem inserir-se na sociedades onde vivem, ser educados, estudar, gerir negócios e até manter-se saudáveis. Os seus jockeys correm pelo mundo vestindo casacos de seda com as cores da bandeira do imamato, verde-esmeralda e vermelho. E pagam-se fortunas pelo pedigree dos seus cavalos. Para fazer o cruzamento de éguas com um dos melhores cavalos de corrida do mundo, o See the Stars, que venceu o prémio Arco do Triunfo em 2009, é preciso pagar 125 mil euros. Os potros nascidos deste campeão são vendidos em média por 308 mil euros, mas já atingiram os 935 mil euros, segundo as tabelas da página oficial das suas coudelarias. É a mais velha dos seus quatro filhos, Zahra, de 45 anos, que hoje se ocupa desta área de negócio da família. Já o imã divide o seu tempo entre a gestão do imamato e da Rede Aga Khan para o Desenvolvimento, o seu papel de diplomata e as visitas às comunidades ismailitas de todo o mundo. Só no ano passado esteve em 14 países, do Quénia, onde viveu com a família em criança, tendo passado pela Índia, Uganda, Canadá e EUA, onde se licenciou em História Islâmica. “A vinda para Portugal de Sua Alteza terá grande impacto para os ismailitas e também para o país”, acredita Zahir Remtula, empresário de 48 anos, lembrando a capacidade do líder religioso de atrair investimento dentro e fora da comunidade. “Mas vamos ter de esperar para ver qual será a dimensão da mudança”, frisa. Zahir Remtula mantém a tradição de ter uma fotografia emoldurada de Aga Khan em todas as suas lojas de decoração. Proprietário da marca Safira na Avenida Almirante Reis e responsável pelas vizinhas lojas Incasa Design, esteve entre as primeiras vagas de ismailitas a chegar a Lisboa. Com a mãe e os dois irmãos, deixou em 1974 a cidade de Angoche, em Moçambique, para onde os seus antepassados emigraram vindos da Índia. A entrada em Portugal de parte da comunidade ainda antes da descolonização moçambicana, em 1975, é apontada como uma prova da capacidade diplomática de Aga Khan. “Soube antecipar-se aos acontecimentos e deu orientações à comunidade para se mudar com os seus negócios para Portugal”, explica Pereira Bastos. “Acabaram por ser eles, já instalados no país, a receber nas suas pensões os portugueses retornados de Moçambique, que lá deixaram muitos dos seus bens”, recorda o antropólogo. A família de Zahir Remtula começou com uma churrasqueira no Lumiar e em poucos anos dava o salto para a primeira loja de móveis, em Benfica. No final da década de 1970 mudou-se para a zona da Almirante Reis, onde as lojas Safira prosperaram. Os Remtula chegaram a controlar uma dezena de estabelecimentos na Grande Lisboa. Os ismailitas ainda se mantêm no comércio de móveis, vestuário e na hotelaria. Entre os mais conhecidos, estão os quatro irmãos proprietários das lojas Sacoor, que criaram no final de 1980 a primeira loja familiar no n.º 127 da Pascoal de Melo, em Lisboa, e hoje possuem 84 lojas em países como o Dubai ou o Kuwait, segundo o site da marca. Outros são os donos da cadeia Vip Hotels, que já têm 16 hotéis no continente, Açores e em Moçambique. Na área, domina também a família proprietária do Grupo Azinor, dono da cadeia Sana, liderada por Nazir Din, com 14 unidades hoteleiras em Portugal, duas em Berlim e duas em Luanda. Estes muçulmanos, lembra o investigador Jorge Malheiros, do Centro de Estudos Geográficos da Universidade de Lisboa, “sempre tiveram um nível económico mais alto do que o de outras populações de origem indiana que vieram para Portugal, como os hindus ou os goeses”. Começaram como pequenos comerciantes, em zonas como a da Almirante Reis, mas têm vindo a diversificar os seus negócios, frisa. Há cada vez mais ismailitas a trabalhar na banca, nos serviços, como brokers imobiliários ou no aluguer de automóveis. E a começar carreiras em profissões de maior estatuto social em Portugal, como advogados, engenheiros ou clínicos. É o caso da prima de Zahir, Sofia Remtula, de 26 anos, médica na Unidade de Saúde Familiar Conde de Oeiras: “Da minha geração, há pelo menos mais outros dois ismailitas a exercer medicina e outros quatro ou cinco a licenciarem-se”, explica. A aposta na educação e na formação intelectual é, aliás, uma das orientações internas da comunidade. “Quase toda a geração mais nova tem formação superior, quer em universidades portuguesas quer no estrangeiro”, garante o representante da Fundação Aga Khan, Nazim Ahmad. O propósito último é que “os ismailitas se mantenham como uma elite bem integrada, com um estatuto de respeito e dignidade reconhecido nos vários países onde vivem”, resume o antropólogo especialista em minorias étnicas José Gabriel Pereira Bastos. Zahir Remtula estudou em liceus públicos e não terminou o curso de Gestão Hoteleira. As suas filhas frequentam hoje o ensino privado: a mais velha, de 19 anos, está em Gestão na Universidade Católica e a de 16 frequenta o 11.º ano no Colégio das Doroteias. A aprendizagem do islão faz-se na família e na comunidade. É na capital, onde inicialmente se fixaram, que ainda vive a maioria dos ismailitas. Mas há fieis espalhados um pouco por todo o país, havendo casas da comunidade com templos de oração no Seixal, Oeiras, Porto, Faro ou Portimão. Os ismailitas podem rezar nas mesquitas. Mas os sunitas e os não crentes não podem participar nas orações dos ismailitas: ali só pode estar quem aceita que Aga Khan é o imã do tempo e que fezo Bai’at, o baptismo, onde lhe juram lealdade e fidelidade. As orientações que o príncipe envia ou que revela nos seus encontros com a comunidade não podem ser transmitidas para fora. Também não rezam cinco vezes por dia como os muçulmanos sunitas. Fazem três orações diárias obrigatórias: sentam-se no chão virados para Meca às cinco da madrugada e novamente às 19h30, quando rezam em conjunto, a oração do final do dia e a oração do início da noite. No Centro Ismaili de Lisboa, as duas últimas preces são feitas em congregação e presididas por um ministro de culto. No enorme templo, sob um quadro do príncipe Aga Khan, os crentes rezam descalços. Os mais velhos ou doentes sentam-se em bancos na sala, orientada para a cidade sagrada dos muçulmanos. O Centro Ismaili tem sido o local escolhido por muitos para casarem, apesar de esta união não ser um sacramento, como acontece entre católicos. Riaz Issa diz que na cerimónia “há uma bênção, uma oração”, feita por um ministro de culto após a união civil, a única reconhecida pelas leis nacionais. Aos 53 anos, o proprietário das lojas Partyland é um dos poucos ismailitas casados com uma católica da sua geração. Mas isso está a mudar. “Hoje há cada vez mais abertura e um maior número de casamentos mistos entre os ismailitas portugueses”, avança, lembrando que a fé lhes permite unirem-se livremente, não sendo necessária a conversão ao islão. A pressão para os casamentos na comunidade ainda se sente, sobretudo dentro das famílias: “São endogâmicos porque isso os ajuda a garantir a sua especificidade”, adianta Gabriel Pereira Bastos. “Querem integrar-se, mas não querem ser assimilados”, explica. Num estudo para o Observatório da Imigração, em 2006, onde o antropólogo foi co-autor, os jovens ismailitas admitiam ser mais fácil para as famílias aceitar o casamento com católicos do que com sunitas ou hindus. “No dia-a-dia, há algumas rivalidades entre os diferentes muçulmanos, que se explicam com a necessidade de preservarem as suas identidades”, justifica. É num palacete rodeado de jardins repletos de palmeiras e tílias na Rua Marquês da Fronteira, em Lisboa, que o príncipe vai instalar a sede mundial do Imamato Ismaili. E será a partir desta estrutura administrativa que coordenará a gigantesca Rede Aga Khan para o Desenvolvimento, onde trabalham 80 mil pessoas em 30 países. Já nas cúpulas dos dois grandes ramos muçulmanos no país, “as relações são óptimas”, garante o sunita Abdul Vakil, presidente da comunidade islâmica de Lisboa. A ligação entre a sua família e a do líder ismailita é antiga e já vem de Moçambique. “Lembro-me de, quando era criança em Maputo, Aga Khan III ter ido visitar o meu pai ao escritório e de me sentar nos seus joelhos. Durante anos, os ismailitas gabaram-me o privilégio de ter estado ao seu colo”, conta. Como os todos os muçulmanos, os ismailitas não devem comer porco, beber álcool e têm de fazer jejum no Ramadão. Aos sábados de manhã, crianças e adolescentes divididos por oito salas têm aulas no Centro Ismaili para aprofundar a sua visão do fé. É também por essas idades que muitos começam a aprender a entregar ao imamato um donativo religioso. Os muçulmanos portugueses têm de fazer o pagamento do zakat, uma dádiva obrigatória para cumprir a fé. Os sunitas doam 2,5% dos seus rendimentos ao ano. Os ismailitas cumprem esse preceito com um donativo próprio que equivale a um oitavo dos seus lucros. “Fui educada desde pequena a fazer esta doação”, diz Faranaz Keshavjee, que entrega a verba ao ministro de culto. Os seus filhos também aprenderam a entregar o montante correspondente à oitava parte do valor dos presentes que recebem nos anos ou nas festas religiosas. “Esta é uma obrigatoriedade pessoal, uma prova de fé e fidelidade que faz parte da ética milenar do islão”, explica a ismailita, dizendo que na comunidade ninguém controla quem faz ou não esta doação. Além destes, há os importantes donativos que as famílias ismailitas e seus empresários fazem ao imamato em festas religiosas ou para apoiar projectos específicos da rede Aga Khan, conta um membro da comunidade. Não há dados sobre o montante que os fiéis de todo o mundo entregam ao príncipe. Quando o avô, Aga Khan III, celebrou os 50 anos de liderança espiritual em 1936, recebeu dos seus seguidores da Índia um montante de ouro que pesava tanto quanto ele. Em Portugal, dos donativos da comunidade e de outras entidades, em 2009, constam 3,7 milhões de euros para as celebrações dos 50 anos de imamato do príncipe Karim – que se estenderam ao longo de 2007 e 2008 - e para a Universidade Aga Khan. No relatório e contas de 2009 da Fundação Aga Khan Portugal especifica-se que “os valores devem ser transferidos para Genebra [para a sede do organismo], de acordo com as instruções de Sua Alteza”. Todos os donativos ao imã e ao imamato passaram a ser totalmente livres de impostos e isentos de mais-valias em Novembro passado, quando entrou em vigor o acordo feito com o Estado português. “As verbas recebidas por Sua Alteza são utilizadas apenas para financiar projectos da Rede Aga Khan para o Desenvolvimento”, garante Nazim Ahmad, o representante da Fundação Aga Khan em Portugal (AKF), o mais antigo organismo do príncipe no país. Nos últimos 30 anos, a instituição portuguesa pôs no terreno vários programas de integração social em parceria com o Estado, a igreja Católica ou as autarquias. E tem outros projectos em marcha. Até Dezembro quer arrancar com a formação de amas, exigida pela nova lei que regulou e liberalizou a profissão. A tarefa foi-lhe entregue pelo Instituto de Segurança Social com base no trabalho já desenvolvido no Centro Infantil Olivais Sul, frequentado por 165 crianças. A venda por 12 milhões de euros do palacete Henrique Mendonça teve luz verde do Governo a 17 de Março. O assunto foi levado a Conselho de Ministros um dia depois de a família Aga Khan contribuir com 200 mil euros para a campanha pública lançada pelo Museu de Arte Antiga destinada a comprar o quadro Adoração dos Magos, do pintor Domingos Sequeira. O centro público, gerido pela fundação há sete anos, tem um programa de ensino inovador e também faz supervisão e acompanhamento de amas que acolhem crianças em casa. No edifício baixo, que se destaca numa rua de prédios nos Olivais, “não se dão apenas cuidados, faz-se uma intervenção pedagógica centrada na criança desde o berçário até aos seis anos”, defende Alexandra Marques, directora para a educação da AKF. O ensino é feito no chamado “modelo de pedagogia em participação”, que “tem como valor fundamental a democracia”, adianta, com os alunos a escolher as aprendizagens e a ser parte activa em toda a formação que recebem. Na sala dos três anos, as crianças começam o dia sentadas à volta da educadora. Sónia pergunta-lhes o que querem fazer, cada uma decidindo se começará a manhã a desenhar, fazer construções ou brincar no “cantinho do faz-de-conta”. À tarde, voltam todas a sentar-se para fazer um balanço do dia e a educadora aponta num caderno as actividades realizadas por cada uma e as que ficaram por fazer. É desta forma, adianta Sónia, que vão aprendendo a gerir o tempo, a conhecer-se, a expressar-se, a justificar-se e a respeitar as opções dos outros. Aos cinco anos, têm “assembleias” de alunos. São eles que propõem os temas a aprender, que as educadoras planificam e integram depois nas actividades das salas, onde há sempre um sofá preparado para receber os pais que queiram assistir. Neste momento, as educadoras do centro dos Olivais Sul já estão a dar formação a profissionais de outras três instituições na Grande Lisboa. “Queremos replicar o modelo”, explica a responsável. Os projectos da fundação vão além do pré-escolar. Até final do ano, quer encontrar um terreno para erguer no país a primeira Academia Aga Khan no mundo ocidental. A escola de elite para mil alunos, entre os 5 e os 18 anos, metade dos quais com bolsa de estudo, já esteve prevista para Cascais. O projecto de quase 100 milhões de euros acabaria por fracassar no ano passado envolvido em polémica. Mas ganha novo fôlego com a vinda do príncipe para Portugal. The Palace Henrique Mendonça / Casa Ventura Terra, in Lisbon, will be sold by the State to the Aga Khan Foundation for 12 million euros, according to a resolution of the Council of Ministers published Monday in the Official Gazette. Currently occupied by Nova School of Business and Economics, the Henry Mendonca Palace / Casa Ventura Terra, in Lisbon, will be sold by the State to the Aga Khan Foundation for 12 million euros. The Ismailis are committed to invest another six million euros in the rehabilitation and adaptation of the building and employ Portuguese architects for these jobs. According to the resolution of the Council of Ministers, published in the Official Gazette in paragraphs 18 to 28, the fitting sale, closed two weeks ago, will now be the headquarters of the Aga Khan Foundation in Portugal – and the world’s first seat of this branch of Shiite Islam. O príncipe Aga Khan, líder da comunidade ismaili, inicia esta quarta-feira uma visita a Lisboa, onde se vai encontrar com o Presidente da República, Marcelo Rebelo de Sousa, o primeiro-ministro, António Costa, com o ministro dos Negócios Estrangeiros. O líder da comunidade ismaili encontra-se hoje à tarde com o ministro dos Negócios Estrangeiros, Augusto Santos Silva, no Palácio das Necessidades, em Lisboa, e a partir das 20h vai estar presente no jantar oferecido pelo Presidente da República, Marcelo Rebelo de Sousa, na Cidadela de Cascais. 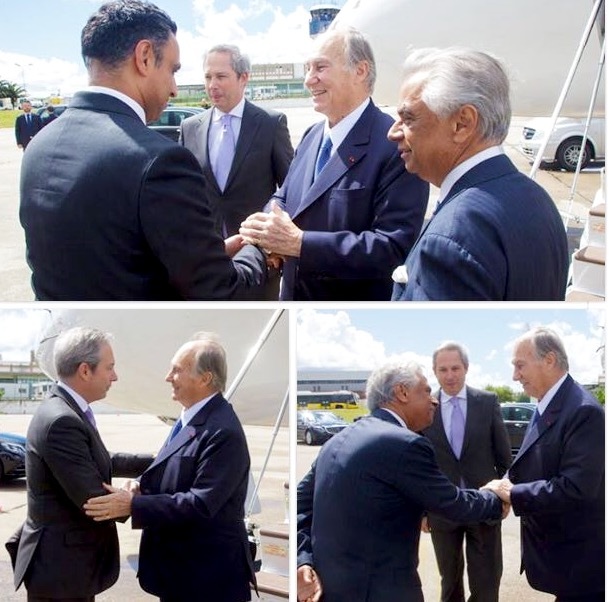 Na quinta-feira, Aga Khan reúne-se, de manhã, com o ex-Presidente da República Cavaco Silva e, após uma visita à Assembleia da República, encontra-se com o primeiro-ministro, António Costa, no Palácio de São Bento. Na passada segunda-feira, uma resolução do Conselho de Ministros publicada em Diário da República indicava que o Palácio Henrique Mendonça/Casa Ventura Terra, em Lisboa, vai ser vendido pelo Estado à Fundação Aga Khan por 12 milhões de euros. O edifício, situado na Rua Marquês de Fronteira e onde está instalada parte da Faculdade de Economia da Universidade de Lisboa, vai ser a sede da Fundação Aga Khan em Portugal. Prince Aga Khan, leader of the Ismaili community, starts this Wednesday a visit to Lisbon, where he will meet with the President, Marcelo Rebelo de Sousa, the prime minister, António Costa, with the Minister of Foreign Affairs. The leader of the Ismaili community is today in the afternoon with the Minister of Foreign Affairs, Augusto Santos Silva, the Palace of Needs in Lisbon and from 20h will be attending the dinner hosted by the President, Marcelo Rebelo de Sousa in Cidadela de Cascais. On Thursday, Aga Khan meets in the morning, with the former President of Cavaco Republic Silva and, after a visit to the National Assembly, meets with the Prime Minister, António Costa, the São Bento Palace . 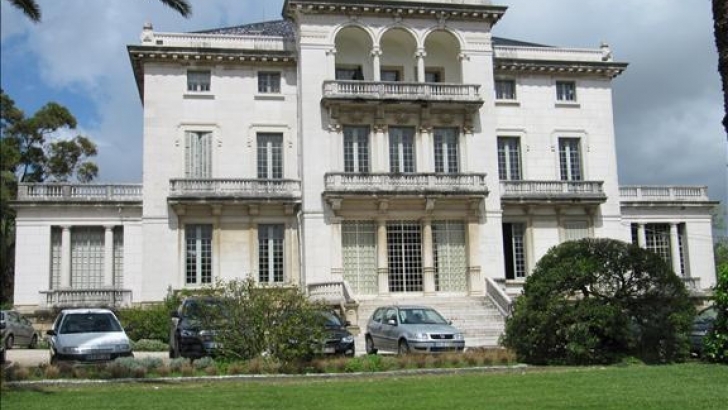 Last Monday, a resolution of the Council of Ministers published in the Official Gazette indicated that the Palace Henrique Mendonça / Casa Ventura Terra, in Lisbon, will be sold by the State to the Aga Khan Foundation for 12 million euros. The building, located on the border of Marquis Street and where it is located part of the Faculty of Economics, University of Lisbon will host the Aga Khan Foundation in Portugal. Historic Lisbon palace set to become Aga Khan’s official residence? The ins and outs of the deal that sees a Lisbon palace of “exceptional public interest” sold for €12 million to the Shia Muslim order of the Ismaili Imamat appears shrouded in uncertainty in Portuguese media. Diário de Notícias claims it cannot establish why the building - last year valued at between €13-€14 million - has been effectively sold for a million euros less, nor why the Universidade Nova has decided to get rid of it. The paper also queries what the order led by the Aga Khan - otherwise known as British business magnate, racehorse owner and breeder Prince Shah Karim Al Husseini - to buy it. What does seem certain is that another €6 million will be ploughed into the stunning property to rehabilitate it - and that the job will be given to a Portuguese firm of architects. Which firm, again “is not yet known, nor is it likely to be revealed”, says DN - neither is it clear what will happen to the cultural treasures currently housed within it. But what does seem likely is that Casa Ventura Terra is to become the Aga Khan’s official residence. Less than a year ago, the former government signed an agreement with the famous Imam to establish the global headquarters of his order in Portugal (click here). At the time, Portuguese media made much of the fact that competition for the deal had been tough, with Canada also vying for the chance of housing an institution that spends hundreds of millions every year on humanitarian initiatives. His highness will meet with the President, Marcelo Rebelo de Sousa, the prime minister, António Costa, and with Augusto Santos Silva, the Minister of Foreign Affairs. He will be attending a dinner hosted on his behalf by the President, Marcelo Rebelo de Sousa in Cidadela de Cascais. Lisbon, 12 May 2016 — Mawlana Hazar Imam is in Portugal for his first official visit since a landmark agreement establishing the global Seat of the Ismaili Imamat in Portugal came into effect. Yesterday, Mawlana Hazar Imam met with Foreign Affairs Minister Augusto Santos Silva before meeting with the President of the Portuguese Republic, His Excellency Marcelo Rebelo de Sousa, who hosted a private dinner in Hazar Imam’s honour. Welcoming Mawlana Hazar Imam to the dinner, President de Sousa spoke of the relationship between Portugal and the Ismaili Imamat. “What really brings us together is a joint commitment to defend and apply the principles and values that honour the ethical importance of human life, pluralism of societies and respect for the dignity of human beings,” said the President. Today, Mawlana Hazar Imam is expected to meet with Prime Minister António Costa and the President of Parliament, Eduardo Ferro Rodrigues. On 3 June 2015, the Ismaili Imamat and the Portuguese Republic entered into an agreement establishing Portugal as the global Seat of the Ismaili Imamat. It was subsequently adopted by the Assembly of the Portuguese Republic and ratified by the President of the Republic, coming into effect in November 2015. Building on a long relationship and a series of earlier accords dating back to the first Protocol of Cooperation signed in 2005, the agreement upholds the promotion of quality of life and the preservation of human dignity, while promoting economic and social development, interfaith dialogue, and the peaceful resolution of conflict as ways of achieving justice and peace. At the dinner, Mawlana Hazar Imam introduced the first five Senior Officials of the Imamat, to Portugal’s President: Dr Shafik Sachedina, Head of Community Affairs; Jane Piacentini-Moore, Head of the Department for International Financial Affairs; Ambassador Arif Lalani, Head of the Department of Diplomatic Affairs; Nazim Ahmad, Head of the Department of Portugal and other Lusophone Countries and Maitre Laurent Chambaz, Head of the Department for International Legal Affairs. Once its restoration is complete, the Henrique de Mendonça Palace will house the Seat of the Ismaili Imamat. Yesterday, the Aga Khan – Imam (leader) of the Shia Ismaili Muslims and founder and Chairman of the Aga Khan Development Network (AKDN) – met with Foreign Affairs Minister Augusto Santos Silva before meeting with the President of the Portuguese Republic, His Excellency Marcelo Rebelo de Sousa, who also hosted a private dinner in his honour. Welcoming His Highness to the dinner, President de Sousa spoke of the relationship between Portugal and the Ismaili Imamat. Today, the Aga Khan is expected to meet with the Portugues Prime Minister, His Excellency António Costa and the President of Parliament, His Excellency Eduardo Ferro Rodrigues, who will host a private lunch in his honour. Lisbon, Portugal, 12 May 2016 - The Ministry of Science, Technology and Higher Education of the Portuguese Republic and the Ismaili Imamat today signed an Agreement of Cooperation to strengthen research capacity and to improve the quality of life in Portugal and in Portuguese-speaking countries, particularly in Africa. This endeavour will be supported by the Ismaili Imamat with a 10 million euro grant over 10 years. The agreement emphasises research in the areas of poverty alleviation, food security and biodiversity, early childhood development, sustainable energy systems and urban development, resettlement of migrants, civil society and pluralism. It will also build research capacity to support the forthcoming establishment in Lisbon of the International Centre for Advanced Training of Researchers from Portuguese speaking Countries. The Agreement, which was signed by His Excellency Professor Manuel Heitor, Portugal’s Minister of Science, Technology and Higher Education, and Nazim Ahmad, Representative of the Ismaili Imamat to the Portuguese Republic, exemplifies the deepening of diplomatic relations between the Portuguese Republic and the Ismaili Imamat, following the establishment of the global Seat of the Ismaili Imamat in Portugal in June last year. “The Agreement establishes a joint initiative aimed at fostering academic, scientific and technological cooperation with countries and regions in development, based on the experience of the Aga Khan Development Network in the improvement of the quality of life in Africa and in the world,” said Nazim Ahmad. Professor Heitor described the agreement as a significant step in improving the quality of life in those parts of the world that have lacked access to scientific knowledge. "I believe this is a step forward in building the future and building certainly conditions for the improvement of life in parts of the world that have not been able to derive the opportunities to understand science and all the new opportunities that knowledge can drive us," he noted. His Highness the Aga Khan is on a two-day official visit to Lisbon. Yesterday (Wednesday) he attended a dinner hosted in his honour by the President of the Republic His Excellency Marcelo Rebelo de Sousa, and met with the Foreign Minister His Excellency Mr Augusto Santos Silva. Earlier today, the Aga Khan met with President of the Parliament His Excellency Mr Eduardo Ferro Rodrigues and parliamentary representatives, and attended a lunch hosted in his honour. This is the first official visit of His Highness the Aga Khan to Portugal following the entry into force of the Agreement between the Portuguese Republic and the Ismaili Imamat for the establishment of the Seat of the Ismaili Imamat in Portugal in November 2015. The landmark agreement builds upon a series of earlier accords dating back to the first Protocol of Cooperation signed in 2005, and a longstanding relationship with the country that spans several decades. His Excellency Professor Manuel Heitor, Portugal’s Minister of Science, Technology and Higher Education, and Nazim Ahmad, Representative of the Ismaili Imamat to the Portuguese Republic shake hands after signing a Research Cooperation Agreement. His Highness the Aga Khan and Secretary of State for Foreign Affairs and Cooperation, Mrs. Teresa Ribeiro look on. Portugal e a comunidade muçulmana Ismaelita, através da Rede Agan Khan, vão financiar anualmente dois a cinco projetos científicos, para a África lusófona. Portugal e a comunidade muçulmana Ismaelita, através da Rede Agan Khan, vão financiar anualmente dois a cinco projetos científicos, para a África lusófona, no valor de 100 mil euros a dois milhões, informou hoje o ministro da tutela. O ministro da Ciência, Tecnologia e do Ensino Superior, Manuel Heitor, adiantou, em declarações à Lusa, que cada uma das partes apoiará, por ano, a partir de 2016, e durante dez anos, com um milhão de euros, projetos científicos para a África lusófona. Os projetos serão selecionados em concursos, a lançar, em Portugal, pela Fundação para a Ciência e Tecnologia, entidade pública, na dependência do Governo, que subsidia a investigação. O primeiro concurso será aberto “antes do verão”, disse Manuel Heitor, após a assinatura, em Lisboa, do protocolo de cooperação científica e tecnológica entre o governo português, representado pelo ministro, e a Comunidade Ismaelita, através do representante em Portugal da Rede Agan Khan para o Desenvolvimento, Nazim Ahmad. Os projetos de investigação vão incidir em temas ligados à qualidade de vida em sociedades em desenvolvimento, incluindo segurança alimentar, biodiversidade, desenvolvimento infantil, sistemas sustentáveis de energia e desenvolvimento urbano, redução da pobreza, reinstalação de migrantes, sociedade civil e pluralismo. Manuel Heitor adiantou que os projetos serão desenvolvidos por cientistas portugueses, dos Países Africanos de Língua Oficial Portuguesa (PALOP) e da rede de universidades Agan Khan. O ministro da Ciência, Tecnologia e do Ensino Superior espera que o protocolo hoje assinado possa ser “uma alavanca” para, em parceria com “fundações com presença em África”, dinamizar o programa Ciência Global, criado em 2009, para proporcionar maior capacidade científica aos PALOP. Na assinatura do protocolo, que decorreu no Ministério dos Negócios Estrangeiros, esteve o príncipe Aga Khan, líder espiritual da Comunidade Ismaelita. A cooperação entre o Estado português e a Comunidade Ismaelita enquadra-se no acordo assinado por ambos, em junho de 2015. Ao abrigo do acordo, a sede mundial da Comunidade Ismaelita será em Portugal. Esta comunidade muçulmana é oriunda de um ramo do Islão xiita. L’Aga Khan, chef spirituel des musulmans ismaéliens, devait rencontrer le président puis le premier ministre portugais à Lisbonne, après un accord signé en 2015 avec l’État portugais pour l’installation du siège de la communauté ismaélite. En mars dernier, le conseil des ministres portugais a autorisé la vente du palais Henrique de Mendonça à Lisbonne pour 12 millions d’euros au prince Karim Aga Khan IV, chef spirituel des musulmans ismaéliens. Celui-ci prévoit en effet d’installer le siège mondial des Ismaéliens dans ce vaste hôtel particulier avec pelouses et palmiers, longeant l’avenue Marquès-de-Frontera. Et ce, à la suite de l’accord signé à ce propos en juin 2015 avec l’État portugais. Depuis 1840, le siège des musulmans ismaéliens est à Mumbai (anciennement Bombay) en Inde. Selon la presse portugaise, le Canada était aussi sur les rangs pour accueillir le siège mondial de la communauté, qui bénéficiera au Portugal de larges avantages fiscaux et de privilèges diplomatiques, accordés en échange d’investissement dans les domaines de la recherche scientifique et du développement. En juin 2015, le prince Aga Khan avait en effet promis que sa fondation investirait pendant cinq ans au Portugal dans la santé et la protection sociale. Les Ismaéliens, nés d’une fraction au sein du chiisme, compte 15 millions de fidèles répartis dans 25 pays sur les cinq continents, dont 10 000 au Portugal. L’Aga Khan (titre d’origine turque « âghâ » et mongole « khân ») actuel, âgé de 79 ans, est le 49e imam héréditaire des Ismaéliens. Très implantés en Inde, en Iran, en Asie centrale et en Jordanie, ils le sont aussi en Europe et en Amérique du Nord, d’où le richissime Agha Khan coordonne l’énorme réseau Development Network, qui œuvre principalement en Asie et en Afrique, et dont les programmes relèvent, selon le site akdn.org, d’une « initiative contemporaine de l’imamat ismaélien visant à concrétiser, à travers l’activité institutionnelle, la vision éthique de la société inspirée par le message de l’islam ». À Lisbonne pour quelques jours, l’Agha Khan devait rencontrer mercredi 11 mai au soir, pour un dîner, le président portugais Marcelo Rebelo de Sousa, et jeudi 12 mai, le premier ministre portugais Antonio Costa, ainsi que l’ex-président Anibal Cavaco Silva. O príncipe Aga Khan, líder da comunidade ismaili, inicia hoje uma visita a Lisboa, onde se vai encontrar com o Presidente da República, Marcelo Rebelo de Sousa, o primeiro-ministro, António Costa e o ministro dos Negócios Estrangeiros. O líder da comunidade ismaili encontra-se hoje à tarde com o ministro dos Negócios Estrangeiros, Augusto Santos Silva, no Palácio das Necessidades, em Lisboa, e a partir das 20.00 vai estar presente no jantar oferecido pelo Presidente da República, Marcelo Rebelo de Sousa, na Cidadela de Cascais. Na quinta-feira, Aga Khan reúne-se de manhã com o ex-Presidente da República Cavaco Silva e, após uma visita à Assembleia da República, encontra-se com o primeiro-ministro António Costa no Palácio de São Bento. Lisbon, 12 May 2016 — The Portuguese Ministry of Science, Technology and Higher Education and the Ismaili Imamat signed an agreement today that will strengthen research capacity and improve quality of life in Portugal and in Portuguese-speaking countries. 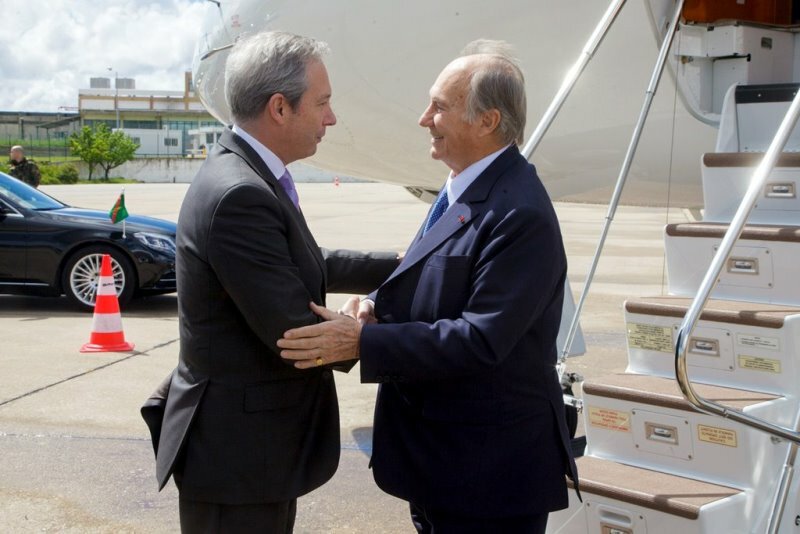 The Ismaili Imamat is supporting the agreement with a €10 million grant over 10 years. Portugal and the Ismaili Muslim community , through Aga Khan Network , will fund each year two to five scientific projects , for Lusophone Africa. 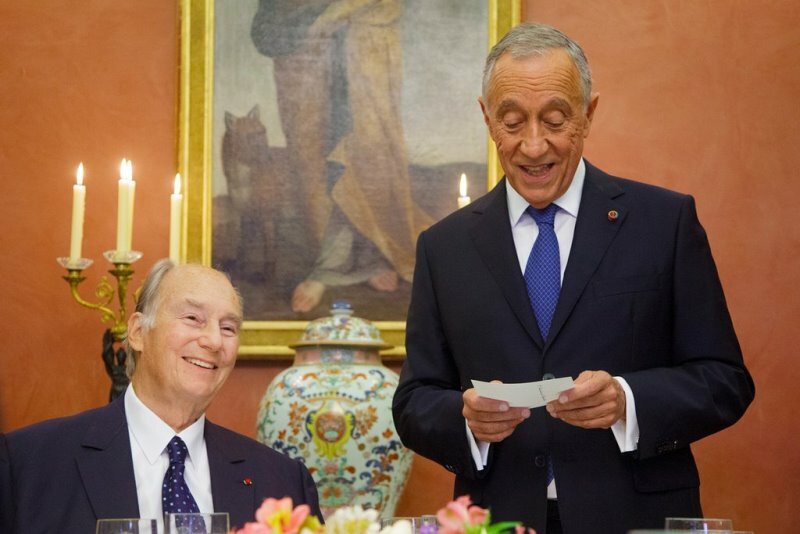 The Aga Khan , spiritual leader of the Ismaili Muslims , was to meet the President and the Prime Minister of Portugal in Lisbon, following an agreement signed in 2015 with the Portuguese State for the installation of the seat of the Ismaili community. Acordo é assinado hoje com o Governo português e o dinheiro destina-se a projectos nas áreas de qualidade de vida, sociedade civil e acolhimento de migrantes. O Aga Khan, líder da comunidade ismaelita que está em visita oficial em Portugal, assina esta tarde um acordo de cooperação com o Ministério da Ciência, Tecnologia e Educação Superior, no valor de 10 milhões de euros. O montante, a investir ao longo dos próximos 10 anos, será canalizado para projectos de investigação conjunta com a Fundação para a Ciência e Tecnologia, incidindo sobre áreas relacionadas com a qualidade de vida, incluindo, entre outros, a segurança alimentar, a biodiversidade, o desenvolvimento na infância, o habitat, sistemas de energias renováveis, acolhimento de migrantes, a sociedade civil e o pluralismo. Este é o último de vários protocolos de cooperação entre Portugal e o Imamat Ismaili, que teve como ponto alto a escolha do país para a sede mundial da Comunidade Ismaelita. Já esta semana foi conhecida a compra à Universidade Nova de Lisboa do Palácio Henrique de Mendonça, em Lisboa, por 12 milhões de euros, exactamente para acolher essa sede. O Aga Khan esteve ontem com o Ministro Augusto Santos Silva e jantou com Marcelo Rebelo de Sousa (na foto), na Cidadela de Cascais. O programa de hoje inclui uma visita à Assembleia da República e uma reunião com António Costa. O dia começou com um encontro com Cavaco Silva, que teve um papel fundamental na aproximação de Portugal à Comunidade Ismaelita. Agreement is signed today with the Portuguese government and the money is intended for projects in the areas of quality of life, civil society and reception of migrants. The Aga Khan, leader of the Ismaili community who is on an official visit in Portugal, signed this afternoon a cooperation agreement with the Ministry of Science, Technology and Higher Education in the amount of 10 million euros. The amount to invest over the next 10 years, will be channeled to joint research projects with the Foundation for Science and Technology, focusing on areas related to quality of life, including, among others, food security, biodiversity, development in childhood, habitat, renewable energy systems, reception of migrants, civil society and pluralism. This is the latest of several cooperation agreements between Portugal and the Ismaili Imamat, which was to highlight the choice of the country to the world headquarters of the Ismaili community. Already this week has been known to purchase the New University of Lisbon's Henrique de Mendonça Palace in Lisbon for 12 million euros, just to host this office. The Aga Khan was yesterday with the Minister Augusto Santos Silva and had dinner with Marcelo Rebelo de Sousa (pictured), the Citadel of Cascais. Today's program includes a visit to the Parliament and a meeting with Antonio Costa. The day began with a meeting with Cavaco Silva, who played a key role in bringing Portugal to the Community Ismaili.